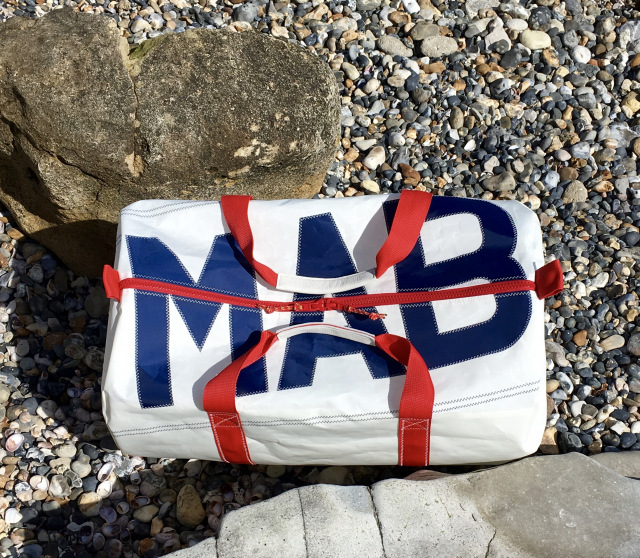 We can personalise these stunning white sailcloth kit bags with up to three letters, or numbers, or a combination of both. 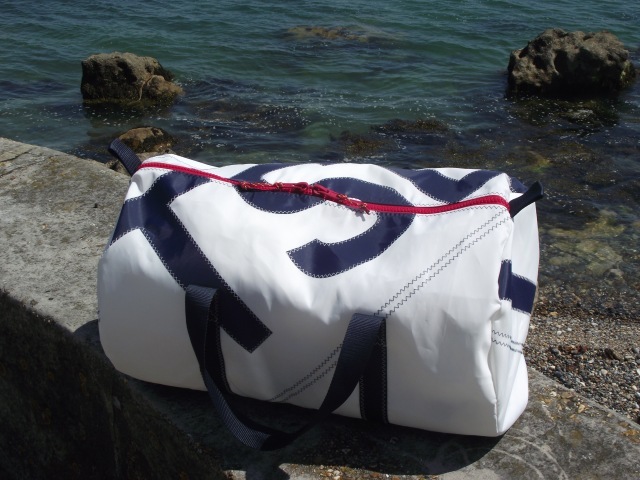 We make them from specially selected, excellent, recycled sailcloth when it is available, or, when unavailable, we use an excellent, top quality, new sailcloth. navy blue, mid blue, red, grey, black, green, fluorescent orange or fluorescent pink. They are cut out by hand and sewn on in traditional sailmakers zigzag stitch using coloured U.V. resistant thread. 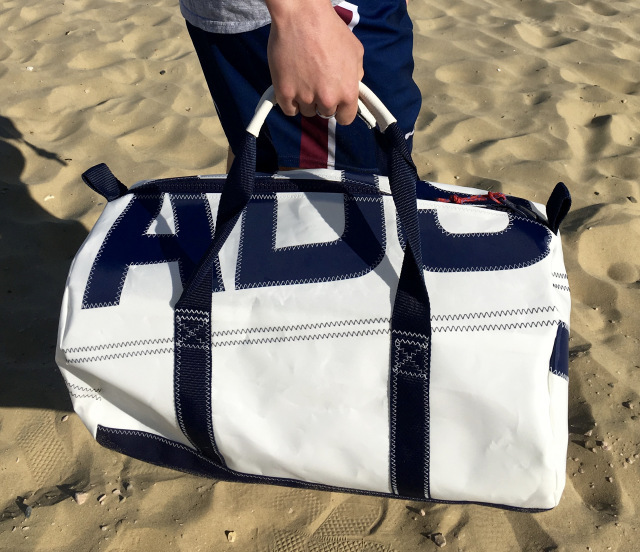 We add an extra layer of coloured acrylic canvas to the base of the kitbags to protect and add durability. navy blue, mid blue, pale blue, indigo blue, dark green, dark grey, light grey, white, burgundy, red, orange, yellow and dusty pink, dark brown, and black. navy blue, red, black, white and neon orange. 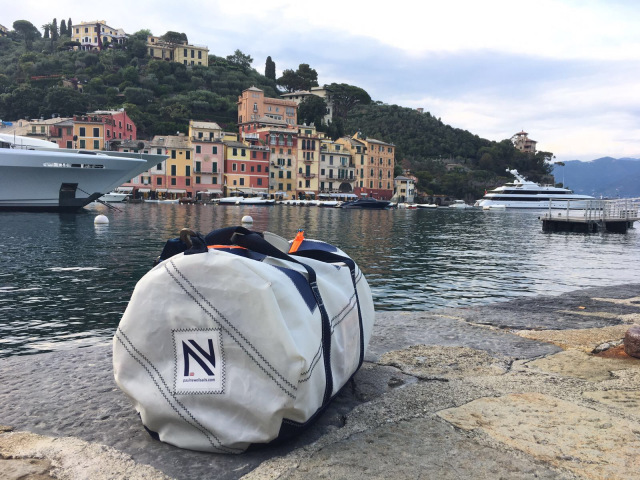 You can choose to have navy blue, royal blue, white, dark green, red, grey or black soft webbing handles. - the zip slider with a colourful pull cord. Medium Long: 60cm length x 32cm diameter. 48litres approx.